There are a few of his illustrations floating around the net too... take a peek. No, not my dad. 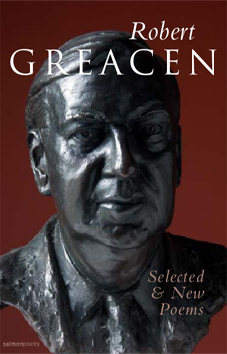 Robert Greacen was a poet from Northern Ireland. He had the same name as my father and grandfather. He lived in the part of Ireland my family left at the turn of the century. He died today. While studying in Galway, my sister had correspondence with him: a brief letter neatly typed on a card. My brother too, several letters. But Robert Greacen wasn't really family, just a familiar name. Here are a bunch of poem excerpts on goog-books.